Get warm this fall by enjoying another cup of your favorite tea. As yet another storm batters the east coast, the residents of Maryland as shivering inside their jackets, trying to keep warm. But what happens when you get home to your apartment and start shivering? If you are like many other residents, you are unwilling to turn on your heat until the very last day of fall. So how can you keep warm without turning on your heat and paying expensive heating bills? Well, we have some tips and tricks to keep you warm. You’ll want to do this before winter sets in. Every window is different when it comes to insulation. A window in your living room might not have any problems while the one in your bedroom is continuously letting cold air into your home. If your windows are letting in cool air, contact your landlord or maintenance person. For a temporary solution install window films or even bubble wrap on the windows to block the windows. These solutions will not damage the windows when they have to be removed and are perfect for renters. Think of layers as your new best friend. As you dress in the morning, think about layers. Dressing in layers gives you the ability to be flexible during warm afternoons or when you are warmer in the office than outside. Use scarves to accessorize your outfits when you know it will be a tad warmer outside, they are easily removed and look good to boot. Another layer you should be thinking about is in the bedroom. It could be time to switch from cotton sheets to flannel. Flannel sheets will keep you warmer during the cold months and paired with blankets, you’ll be cozy in no time. Try sleeping with several blankets for extra warmth. There is nothing better than cuddling up with your significant other and watching a movie. Now for warmth, add a fleece blanket and you’ll be perfectly warm. Stash a few blankets in rooms where you spend a lot of time. This will make it easier to get warm instead of running around trying to find out where you left it. Another way to get warm is to warm up a heating pad. Whether you like hot water bottles, electric blankets, heating pads, or a rice heating pad, you are never more than 30 seconds away from being warm. The final way to avoid the heater is by eating and drinking. That’s right, heat up some coffee or tea and make a pot of beef stew. Warm comforting beverages and meals are one sure way of heating you and your home. Instead of using the crock pot for your stew, turn on your stove and simmer. This will make your home smell wonderful and give you a nice warm glow that only comes with good food! Heating your home shouldn’t be expensive. 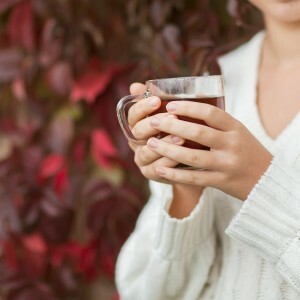 Use these unconventional ways to get warm and you’ll feel warm and cozy in no time! This entry was posted on Friday, October 2nd, 2015	at 7:32 pm	. Both comments and pings are currently closed.